Usually, we try to control blood glucose of patients who are admitted with acute illness. But after reading this article, I found that this is not confirmed with good evidence and realized the importance of knowing that some of our usual care may lack sufficient evidence. Data show that raised blood glucose concentrations in people with and without a previous diagnosis of diabetes are associated with short term harm. However, whereas the benefits of good glycaemic control over a long period in people with diabetes are well established, uncertainty remains about whether treating transient hyperglycaemia, in particular in hospital inpatients, makes any difference to short term outcomes. excluding them and the rest not reporting whether patients with diabetes were included. There are good theoretical reasons why glucose reduction with insulin should be beneficial, with reductions in endothelial dysfunction, immune dysfunction, and the maintenance of adequate vasodilatation.20 But insulin use in any patient with hyperglycaemia is fraught with problems and is often used incorrectly or ineffectively–the use of subcutaneous “sliding scales” being one such problem.21 Precipitating severe hypoglycaemia by aggressive glucose lowering with insulin is a major concern. Uncertainty also remains about the glucose targets that should be aimed for and the best agents to achieve these. 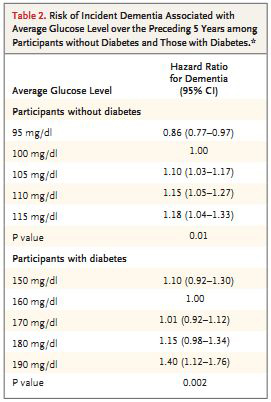 The data presented show that high glucose concentration in people with and without diabetes is associated with poor outcomes. However, as the author found no directly relevant systematic reviews it remains to be determined if the raised blood glucose is the cause of the poor outcomes or if it is just an epiphenomenon. What should we do in the light of the uncertainty? If the patients are found to be hyperglycaemic then efforts should be made to control their glucose concentrations on the basis of pragmatic consensus documents drawing largely on the best available observational data previously described. Many patients with dementia come to our clinic, and sometimes it is difficult to examine for a stable life. It is important to know the risk factor to develop dementia, and to prevent it. I found this article about the glucose level and risk of dementia. I read it. I got the information that it is important to check the glucose level without diagnosing DM. I think We should do “health maintenance” about DM and high glucose level to prevent dementia. It is important that family physicians know this evidence to prevent dementia. How do you think about a risk factor of the dementia ? 1.A parallel between the processes of clinical reasoning and educational reasoning. Gregory M. Garrison, MD, MS, and Sara Oberbelman, MD. 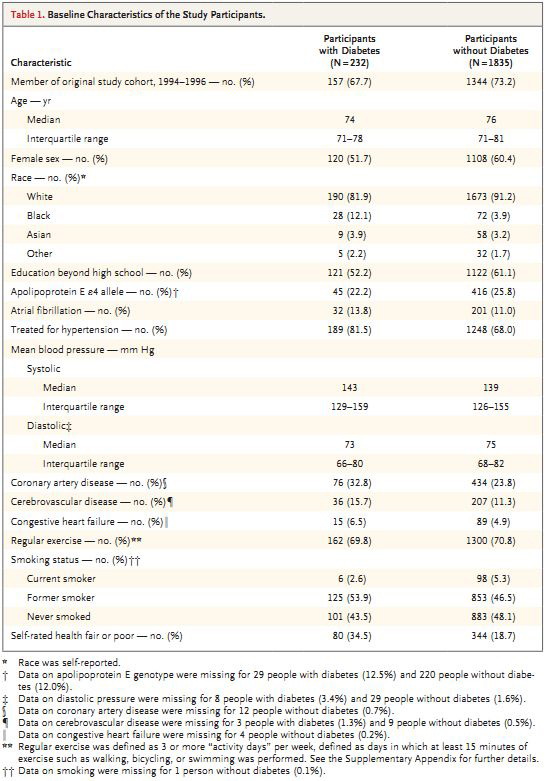 Screening for hypertension annually compared with current practice. Annals of Family Medicine. 2013 Mar-Apr; 11(2):116-121. In the clinics or hospitals where I have ever worked, every patient was routinely checked their blood pressure. Sometimes I found high blood pressure in these patients, but if they didn’t have any symptoms and usual blood pressures were within the normal range, I told them that it was just because of the length of waiting time… This time, I wonder if this routine blood pressure check is effective or not, then chose this article. Hypertension is the most common diagnosis in ambulatory care, yet little evidence exists regarding recommended screening intervals or the sensitivity and specificity of a routine office-based blood pressure measurement, the most common screening test. Screening for hypertension is usually performed by measuring blood pressure at every outpatient visit, which often results in transiently elevated findings among adults who do not have a diagnosis of hypertension. We hypothesize that a more limited annual screening strategy may increase specificity while maintaining sensitivity. A limited annual screening strategy for hypertension can improve specificity without sacrificing sensitivity when compared with routine screening at every visit in previously normotensive adults. Screening for hypertension is recommended to all adults. But if large numbers of disease-free individuals are screened repeatedly, then even highly specific tests can generate a number of false-positive results, for which patients must undergo further testing. In this article, to reduce the frequency of screening by 60.7%, they could achieve a significant decrease in the false-positive rate from 29.6% to 18.0%. Which strategy would you like to choose?